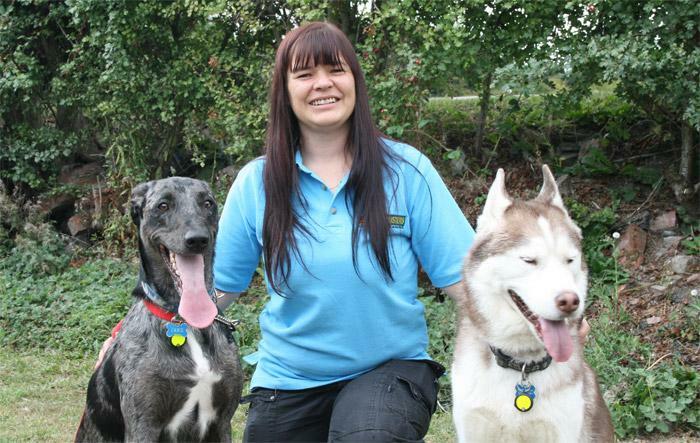 Welcome to Bark Busters Home Dog Training Alfreton, Derbyshire. I’m Estelle, your local behaviour therapist. I've been training dogs in your area for many years and in that time, I have met so many lovely people and their fabulous dogs. As you are reading this, you probably have the feeling that your dog isn't at all fabulous. Maybe his/her behaviour is causing you stress and anxiety or even pure frustration and anger. I can assure you that many dog owners go through this at some stage in their dog’s life. My job is to help you get your dog listening to you again so that you can have a happy and harmonious relationship. I have dedicated all my working life to animal care. 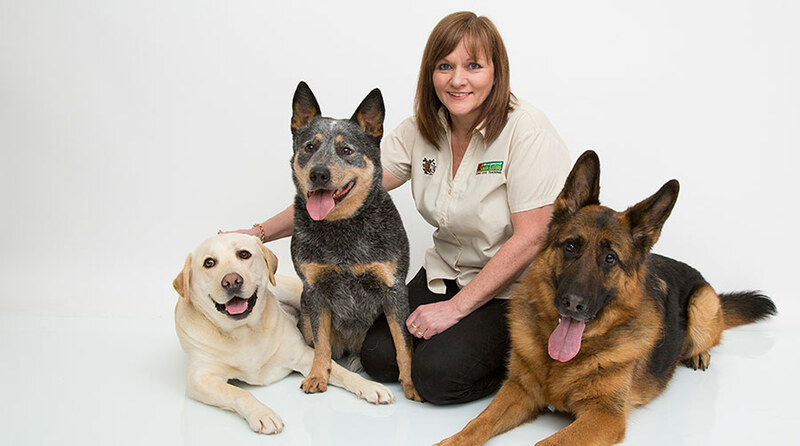 I trained as a vet nurse after leaving school and, after moving to live in Australia, then went on to specialise in training and behaviour, eventually running dog training school at the RSPCA in Australia. My passion for dogs brought me to Bark Busters as I realized that their communication system fitted in well with my theory that dogs, and their owners, learn better at home where they are more relaxed. I can also observe them in their own environment and see any problems first hand. Having made the move back to the UK several years ago, I have been working with owners and their dogs to teach them the Bark Busters system that relies on good, kind, consistent leadership and communication. It also teaches dogs to listen to their owner and to stop making decisions for themselves. All the work I do with my customers towards having a well-behaved dog is based on voice tone and body language and never the use of physical punishment. Once you learn to communicate with your dog in a way that they can understand, the behaviour quickly turns around and becomes much better as your dog is ready to listen and, in most cases, keen to learn. You may have problems with excessive barking, destructive behaviour, sibling rivalry, separation anxiety, pulling on the lead, poor recall, aggression to other dogs, aggression to people, poor toileting habits, or anything else. I am confident that by putting my system into place, you will soon be able to eliminate the behaviours that are causing you stress and start to enjoy your dog again. You will be taking back control and your dog will be happier too, as he can relax and enjoy being with you. I have several dogs myself alongside a menagerie of other animals. Two of my dogs I have had from puppies, but one is a three-legged chihuahua that was recused from The Bush in Australia. All my animals present me with challenges from time to time, but they all respect my leadership and understand that they are safe and cared for. That’s what I want to create for you…a situation where your dog trusts your decisions and leadership and is confident of your ability as a leader. Having a dog who trusts you and can relax knowing you’ve got everything covered is so much better than having a dog who is nervous and anxious about the safety of the household. This type of anxiety can often be the cause of aggression, destructive behaviour, toileting, excessive barking and even separation anxiety and sibling rivalry. If you’d like some help with your dog’s behaviour problems, or if you have a puppy and want to get off to the right start, give me a call on 0808 100 4071. I’ll arrange to visit you in your home and we will work together to put a training plan into place. I will give you lots of opportunity to practise the training and voice techniques whilst I am with you. My written notes and training guides will help you to continue the good work after I leave you. My written support guarantee will give you confidence and peace of mind that I will return to help and support you, free of charge, progress for the duration of your term. I’d love to meet you and your dog very soon.